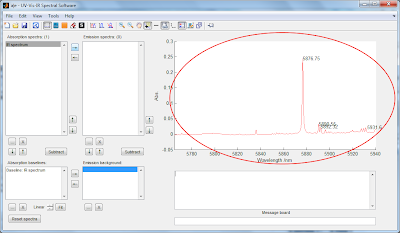 Label peaks in IR spectra - The fluorescence laboratory. To add texted peak-labels to a plotted IR spectrum in a|e, go to Tools -> IR -> Label peaks. Labels are added to the most intense peaks. 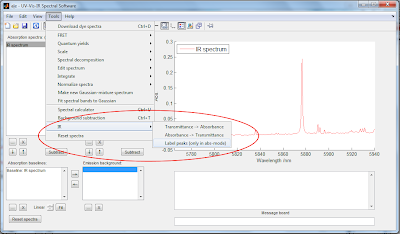 This function can currently only be used for IR spectra plotted in absorbance mode. In the future it will also be possible to change the threshold settings of the peak-finder algorithm.